Hard to believe but it’s been more than a year since I moved to Switzerland. In my not-so-new role, I’ve had the privilege of being able to travel to pretty much every continent. While I’d have loved to have created a travel log for all my trips, time simply hasn’t allowed this. Here’s a quick rundown of my June 2012 – March 2013 travel schedule. In between all of this, I traveled home four times (briefly), including moving house and coming home for Christmas. We have also spent family time in Verbier, Switzerland and Cinque Terre, Italy! It’s been an incredible year of learning, ups and downs and new beginnings. Attached are selected photos from a few of my trips. Enjoy! 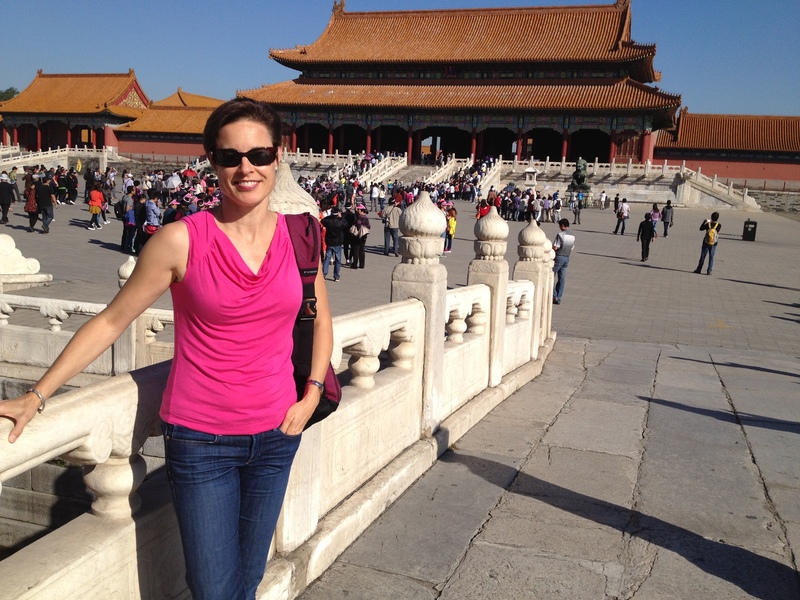 Visiting the Forbidden City, Beijing. Mexico City for a market visit in June – incredible, huge city with almost the population of Canada. Quick afternoon trip to Connecticut to visit Nestlé Waters. Budapest, Hungary – to speak at our Management Development Conference and visit Nestlé Hungary. Had a chance to tour around, see the famous baths and visit a Cézane exhibit! A beautiful city especially all lit up! 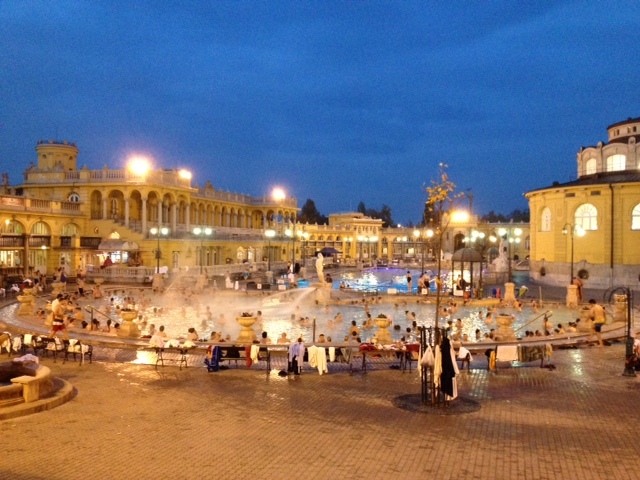 The famous Szechenyi baths in Budapest. Frankfurt, Germany to visit Nestle Germany – not much to see other than the offices, but we were hosted to some delicious meals!! London for a week-long market visit in February. See Graham’s blog as we all went as a family on Easy Jet the weekend before and had a great time. I must say I felt very at home — loved the British humour, the Nestlé Team was extremely welcoming, and the pub food….need I say more? I visited the quaint city of York (home of our chocolate factory) and not far from Huddersfield where my Dad was born and lived as a young lad! Basel, Switzerland for an industry meeting with external peers. Nairobi, Kenya in February for a market visit hosted by my fellow Canadian colleague, Alastair, who relocated there with his family 18 months ago. This was followed by a trip up to the foothills of Mount Kenya for a conference with all the Heads of HR from Asia, Oceania and Africa. 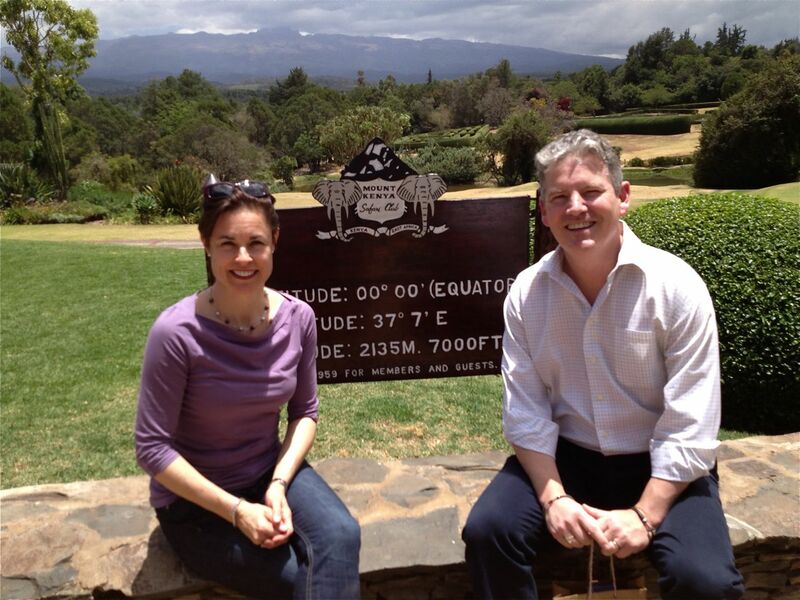 At the equator with fellow Canadian, Alastair Macdonald, with Mt Kenya in the background. Sao Paolo, Brazil in March. I have always had an affinity for Brazil (since I was born in Rio de Janeiro), and I was so impressed by the Brazilian warmth, the hospitality and the incredible food (churrasca and salad buffets … what could be better?). The city itself doesn’t hold much appeal, full of traffic, concrete buildings and boasting 71 malls! But what wonderful people! The notes below were taken while I was in China in September for a week long Leadership program in Guangzhou, and I also spent time in Beijing and Tianjin during a visit of the Greater China market. Luckily I had time to sight-see a bit while in Beijing. The blog is a little long for some tastes so just skip to the photos if you find it boring! The morning I landed in Beijing the sky was clear blue and the sun was shining. Apparently a rare treat for Beijing inhabitants, used to smog that can sometimes be so thick it looks like fog and shuts down the airport. Happily, this was not the case. I was immediately struck by the immensity of the city, much like Mexico City, which goes on and on until the plane finally lands. From the air, it’s evident Beijing is vibrant, modern and developing at a breathtaking pace. Construction cranes can be seen in every direction and entire city blocks of identical apartment buildings, often 10 to 20 together, are being constructed all at once. It’s apparent that China’s population movement from rural to urban continues unabated. China of course is known for its large cities, with Beijing now topping out at 20 million. Incredibly, there are more than 170 cities with more than 1 million people in China. This trip was a combination Nestlé China market visit in the north, followed by a week-long leadership program in the south, close to two weeks all together. Aside from Beijing, my travels took me to Tianjin and Guangzhou. Tianjin, an economic hub and port city 2 hours’ drive southeast of Beijing, hosted the Summer World Economic Forum last summer, bringing world political and business leaders together. The city is also home to one of Nestlé’s 20 factories in China, where we manufacture confectionery, ice cream and cereal. In Tianjin, we employ 1000 people and face stiff competition for skilled workers, competing with 3300 international companies in the area. To attract people to work for us, we provide shuttle bus service for our workers from the downtown core as well as meals and snacks from a fully funded cafeteria. Despite this, turnover rates run at about 15 per cent, which is normal for Chinese based companies. 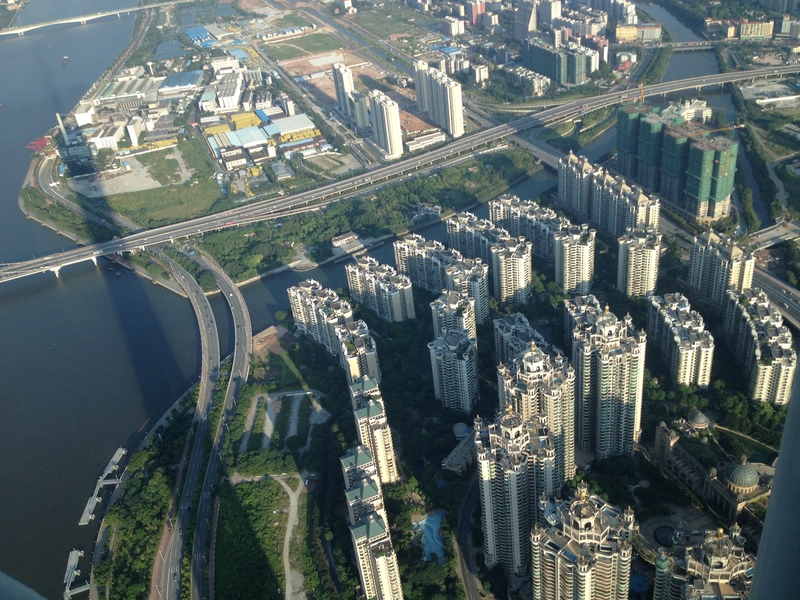 Guangzhou and the Pearl River Delta: Guangzhou, formerly known as Canton, has a population of 14 million. It is situated on the Pearl River about 120 km northeast of Hong Kong. If you think of Guangzhou as the western tip of a triangle lying on its side, Hong Kong and Macau form the base of the triangle at the mouth of the Pearl River Delta. This triangle, home to 45 million people in Guandong province, is the manufacturing hub of the country, known as the ‘factory of the world’ where the lion’s share of ‘Made in China’ products come from. Companies which were start ups 20 years ago manufacturing private label products for western companies, have become so strong they have bought everyday brand names. We visited TTI, the owner and manufacturer of power tools and appliances like Dirt Devil and Hoover, which was founded in 1985 and is now a $3billion company with 18,000 employees and 900 different SKUs. Seventy percent of its sales are in North America. Huge growth in a very short period of time and they still don’t sell product in their own market. Talk about potential, once China’s middle class grows. Massive apartment blocks in Guangzhou. The Chinese Economy: Since 1979, China has moved from a closed economy to an offshore dependent one, resulting in exponential growth for the manufacturing sector. The challenge that the Communist government has set for itself, is to shift that dependency to local consumption. This year marks the 12th of China’s Five Year plans since 1949, and the focus is on getting the local population to start spending, rather than saving. China is trading up to higher end jobs, and the percentage of jobs coming from the service sector has moved up to 47 per cent. It is only a matter of time before some of the manufacturing jobs move to India and other parts of Asia. The implications for western economies are mind-boggling. Government Policy Setting: I was struck by the government’s seemingly arbitrary approach to policy making, such as its approach to population control. With 1.3 billion in population, China’s one child policy is still in effect, however this has been somewhat relaxed. Those people who were ‘only children’ and marry another only child, are now allowed to have two children. Those who happen to have siblings are just out of luck and can only have one. Oddly, in the countryside (and not in the city), if you have a girl first, you are allowed to have a second child presumably just so you can try for a boy! Another example of arbitrary policy-setting is Beijing’s approach to controlling the number of cars on the road. First of all, your right to have a car is determined by lottery, a policy which was recently instituted. Secondly, everyone must be off the road at least one day a week. This is arbitrarily determined by the last digit of your license plate. For instance those ending with a ‘1’ would not be allowed to to out on Mondays, without risking a fine. Somehow you have to figure out how to get to work…! Happily for me it wasn’t all work and no play. 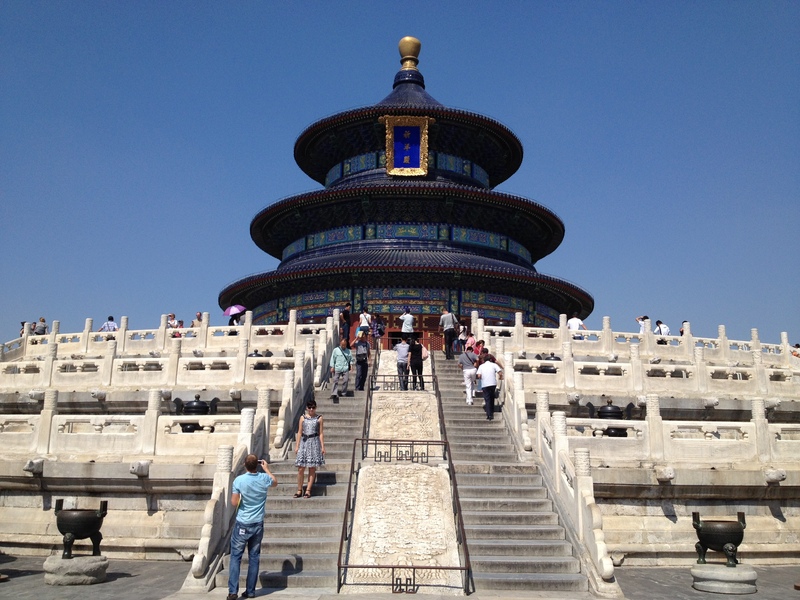 I was able to play tourist in Beijing on the weekend and visited the Forbidden City, Tiananmen Square and the Temple of Heaven. We also took a city tour for an afternoon while in Guanzhou. See my shots…this is just a sample as I took 294 pictures. Graham wasn’t with me so I had to take pictures for him!! Enjoy! Guangzhou, from the top of the Canton Tower. Making friends with a Colobus monkey. Great blog, thanks for sharing Kathryn – miss you all tons!! !